Both Duc and I grew up in Garden Grove (but didn't know each other in childhood) so the city has held a special place in our hearts. As we've grown up to see its unique characteristics, we appreciate the city more and more aside from its familiarity. 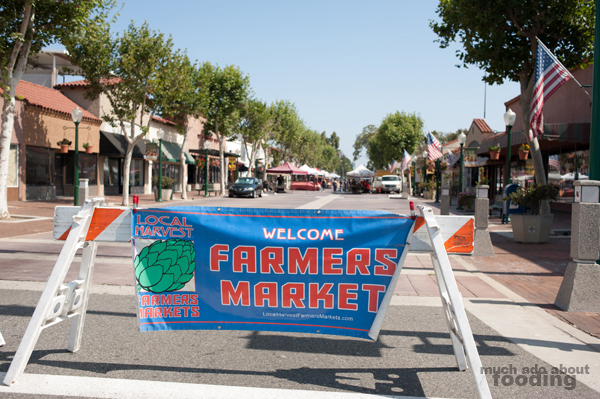 When I was in high school, I volunteered at the Garden Grove Farmers' Market during its initial days but then it dissolved for a few months for some reason. I didn't go back for a long while until last year when I saw that they were going strong with this weekly Sunday market on Historic Main Street. It was small back then but these days, the market is still small but has more specialty booths including some vendors that will now be our go-tos. For some odd reason, the produce vendors are at the very ends of the street-long market. When you enter from the Garden Grove Blvd side, you come upon a vegetables booth and fruit vendor. 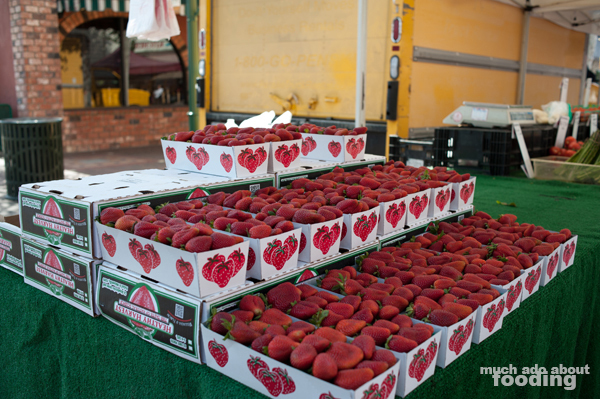 Considering the season and the city's history in being the land of strawberries, the boxes we saw of the red berry jewels were quite tempting. The produce at the very end of the market looked uncomfortably lonely during our visit but don't forget them during your own visit. Though not placed in the best area, they have citrus and greens for your grocery shopping needs as well. 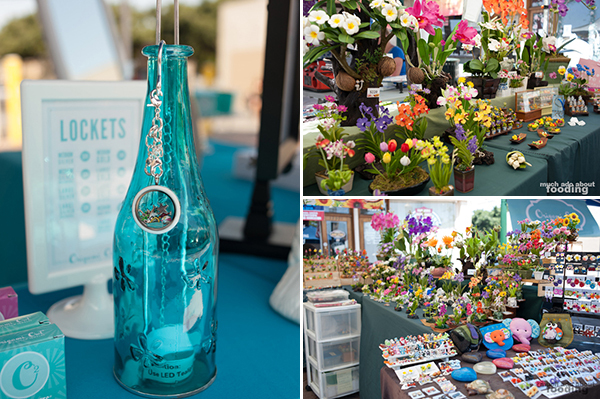 There were also a handful of craft stalls with an assortment of jewelry and home decor items. The blown glass booth made me hesitant to enter because the skillful, colorful vases stood tall with prestige and whispered "I'm fragile" to me; wouldn't want to knock one of those beauts over! If you are a fan of Origami Owl jewelry, DeeDee is your woman and features her own booth of the locket-and-charm-centered jewelry line. There is also the ebullient craftswoman who fashions clay flowers together so delicately that they could be real. I remember when Duc bought me one of these more than a year ago - it still sits at my desk at work, blue and bright. 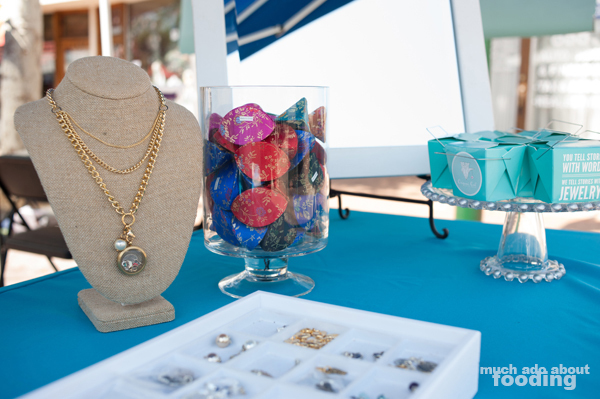 The booth also has small jewelry and figurines made of the same material. The two most interesting and unique vendors we ended up purchasing from and talking with at length were Joseph of Rainbow Farms Fertilizer and Gary of Fossil Find Dino Digs. What caught our eye about Rainbow Farms Fertilizer was that the product was based completely on mealworm castings, a part of the gardening process that is highly recommended but also not too common to find. 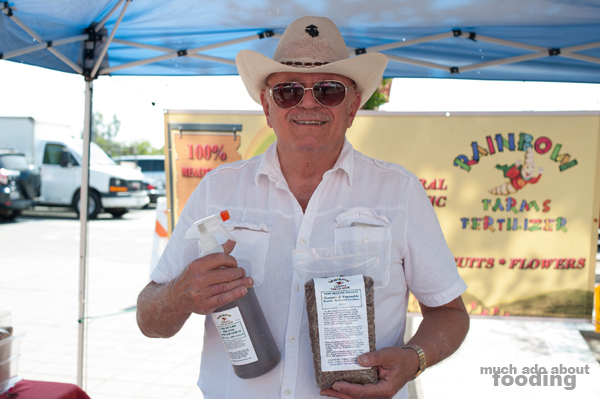 If you are an avid gardener who is looking for a 100% natural and 100% organic product to help in your home farming, you'll need to find Joseph who has his product in powdered form, time-release pellets, and even a concentrated spray. I'm looking forward to what will come of Duc's using this in our own garden. 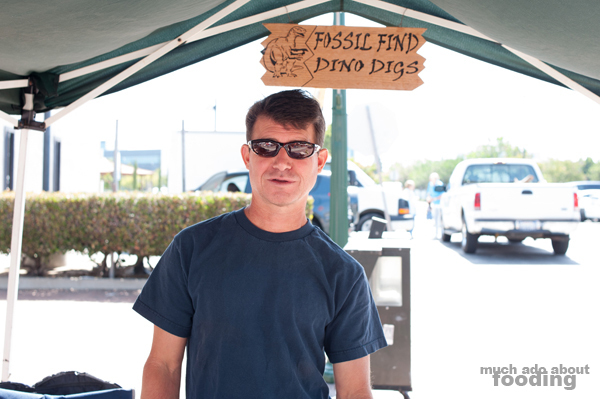 As for Fossil Find Dino Digs, this is the perfect booth to stop by and get an interactive, educational "toy" for children. 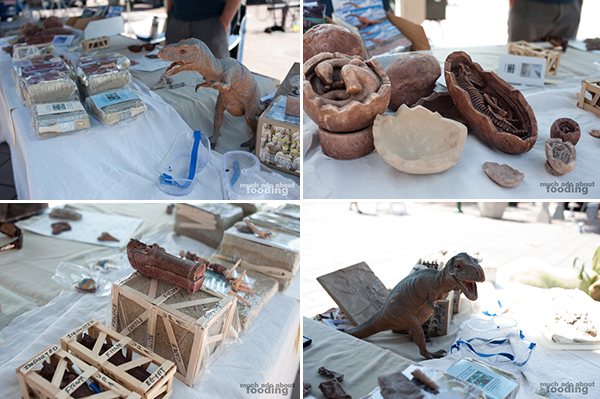 If there is even an iota of interest in dinosaurs, your kids (or friend's kids) would love the products. Gary is a sculpture artist who put together these neat digging kits that allow children to become archaeologists in their homes. Duc has always had a strong interest in dinosaurs so I wasn't that surprised when he bought a little kit of his own. There are several themed packs but they are basically sets of compacted sand formed around "dinosaur bones and skulls," hollow egg sculptures, mummies, and even clay warrior armies. Pointed craft sticks are the digging tools and a brush lets you wipe away the loosened sand; how cool is this? We talked to him about his work on getting these toys national too so my advice? Get over there now and get the first run of them before they go retail and possibly hike up in price! 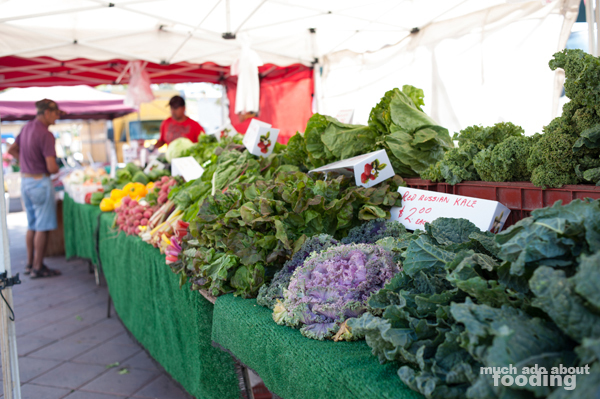 Of course, a farmers' market is not all about crafts but also about the prepared foods and food products you can grab ahold of. 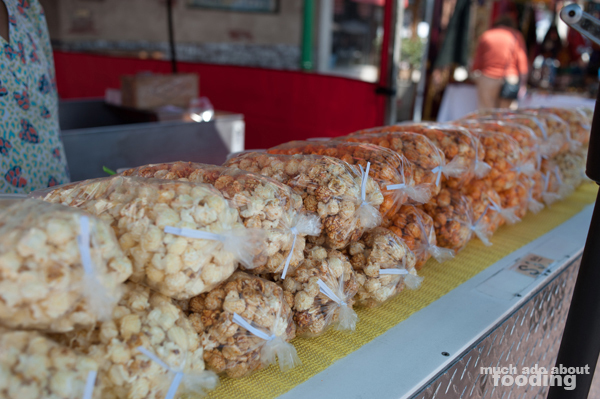 The woman selling kettle corn is a savvy and persuasive saleswoman of their sweet kernels. I was not too far away when I suddenly found myself tasting all of their varieties as she talked quickly about each kind. Somehow I made away with two bags for $4 but glad that it was at least a product I enjoyed! 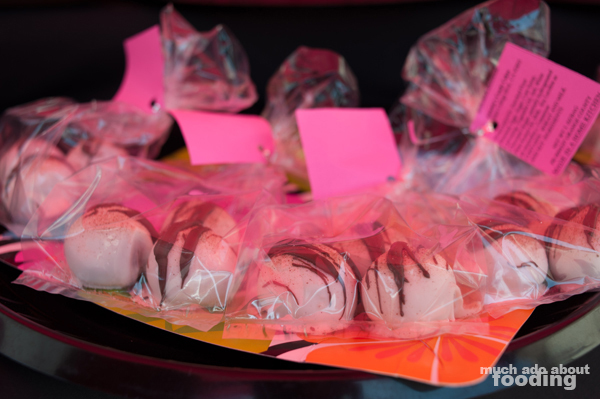 If you are a fan of cakey truffles and cake pops, there is also Annetta's Candy Cakes which has moist, sugary cake balls enrobed in a chocolate/candy shell. They come three in a pack of assorted flavors but can easily tempt your wallet empty. We made away with a bag of their peanut butter type. 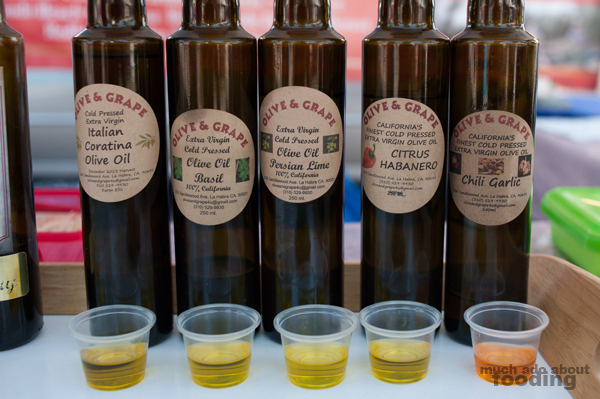 As with most markets, the Garden Grove Farmers' Market does have an olive oil and balsamic vinegar vendor. Formerly known as Farmer's Daughter Olive Oil Company, the Olive & Grape line of products spans prepared dips/sauces and honey as well. 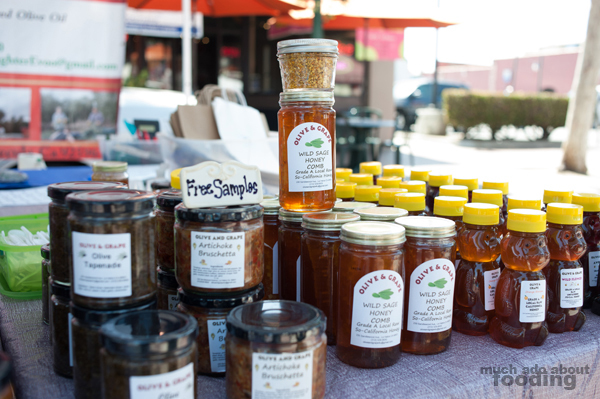 They are not typically in the Orange County area but Garden Grove is one of the farmers' market that they do feature their samples so make sure to stop by and see if they fit your fancy. We chatted with Karen and Catherine there and bought a lovely jar of their olive and caper tapenade, perfect for snacking on or incorporating in a sauce. 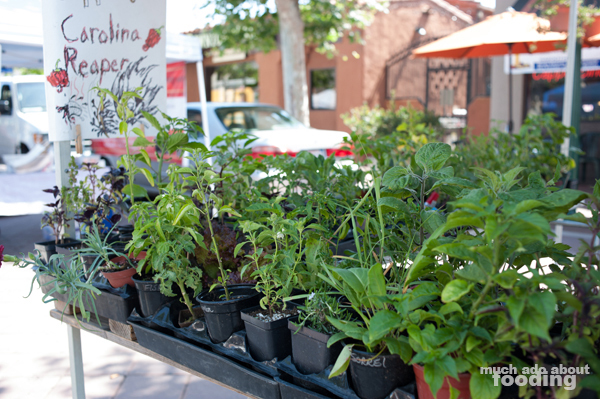 If you're more of the planting type, there is a spot to grab your plant starters too with a variety of vegetables and herbs. The advertising on the booth seemed to emphasis the choice peppers there including scorpion peppers and Carolina reaper peppers for the hotheads. 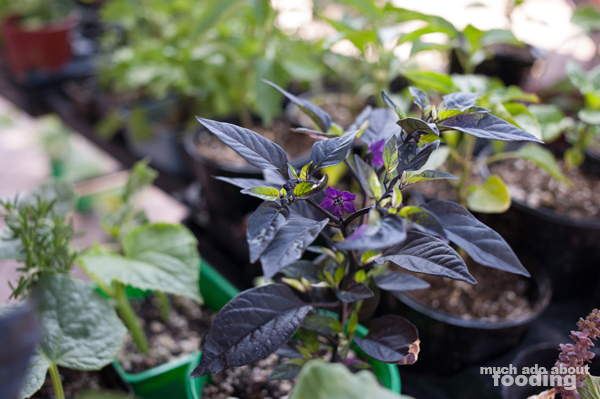 I loved seeing just how many types of basil there also were such as the deep, healthy purple of Corsican basil. Grown organically and with care in the vendor's backyard, these plants seemed strong and in good shape! 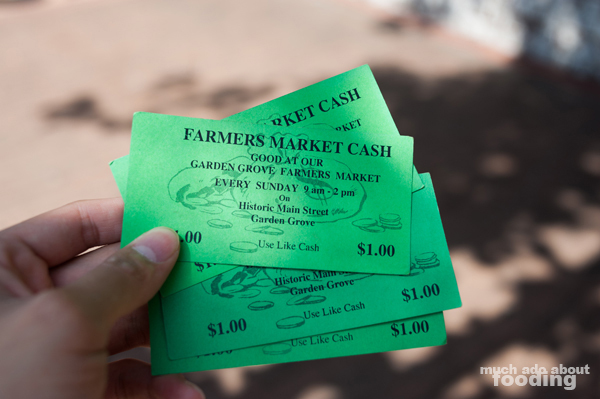 Most farmers' markets run purely on purchasing with cash but we have a bad habit of not carrying cash with us. 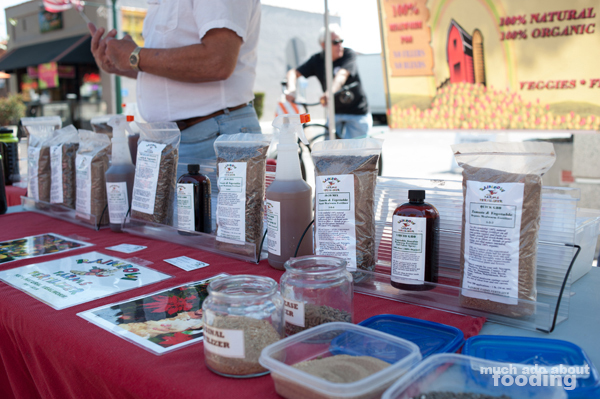 If you're like that too, no worries during your Garden Grove Farmers' Market visit. The information booth allows you to swipe in your card for farmers' market cash tickets that you can use at every stand. We had to take advantage of this for sure since there was so much we wanted. I'd say that the market probably had only 20-30 vendors which makes for a small gathering but there are certainly unique items here for the gardening enthusiast. 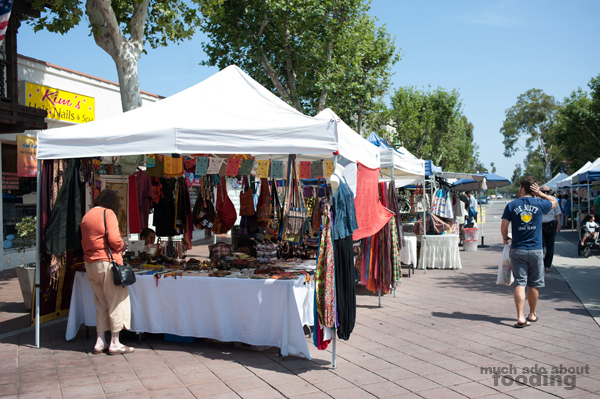 If you want to visit the market, it is open Sundays from 9am-1pm.